Last week we caught up with newly appointed CEO of Sterling energy, Eskil Jersing. Our initial interest in the company was sparked by a perceived valuation gap, as Sterling’s ~$100m (£62.5m) in cash appears markedly under-represented in its current market cap of £38.5m. Of this cash the group has ~$30m (~£19m) of commitments, a $22.7m (£14.19m) abandonment liability for the Chinguetti field in Mauritania, and a further $8m (£5m) of potential stage payments in Somaliland. Post these commitments the stock remains at a discount to cash, with no value ascribed to the current asset portfolio, or indeed, any 'option value' as management holds the cash to do deals in what most view as being a buyers’ market. 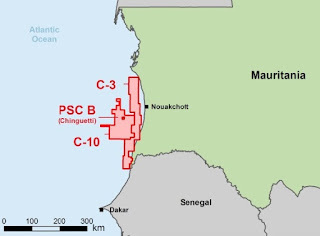 Beyond the obvious balance sheet strength, Key highlights (as we see them) from an asset perspective are the group’s growing position offshore Mauritania, where Sterling added two material licences in 2015; C3 (coastal / shallow water) & C10 (deeper offshore). Both blocks were acquired at minimal cost, notably C10 has an exploration well planned to spud within 18 months. In Madagascar, worth highlighting is Sterling’s fully carried status on the current 3D seismic survey, with potential for an exploration well to be drilled in 1H 2017. In terms of ‘sleepers’ the group maintains positions in both Somaliland (security issues) and Cameroon (border dispute). Despite activity in both regions being on hold, the group’s interests could represent a windfall for investors if their respective issues can be resolved. The Chinguetti field was discovered in 2001 and lies in 800m of water, 80km off the coast of Mauritania. Sterling currently holds an 8% economic interest via funding agreement with SMHPM (Mauritania national oil company) and a sliding scale royalty over 5.28% of Premier’s share of production. In 2014 these combined interests resulted in 432bopd production net to Sterling ($6.9m cash flow) from gross output from the field of 5512 bopd. In February 2015, Sterling acquired (pending Government approval and completion of the transaction) a 40.5% working interest in block C-3 from Tullow in exchange for ~$2.5m towards back costs. 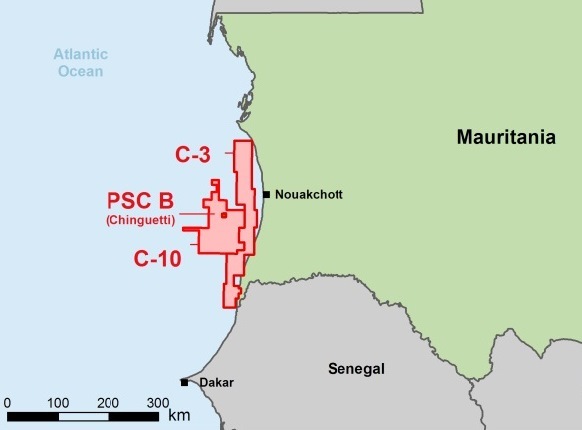 C-3 is a shallow water exploration block, shown in the above map as running along the coast of Mauritania. The block covers an area of 9,781km2 at average water depth of under 100m. Interest holders in C3 are as follows; Tullow 49.5% (Operator), Sterling Energy 40.5% and SMHPM 10% (Mauritania’s state oil company). Block C-3 is currently in exploration phase 1, which involved a 1600km2 2D seismic survey, which was acquired in late 2014. The survey is currently in-house and under interpretation. The second exploration phase runs from June 2016 and involves the acquisition of a further 700km2 of 3D seismic and the drilling of a single exploration well. The group are expected to make a ‘drill or drop’ decision on the block by the first half of 2016, once the results of the 2D seismic interpretation have been evaluated. Block C-10, Sterling Energy 13.5%, position acquired June 2015. Sterling Energy acquired (pending Government approval and completion of the transaction) a 13.5% interest in block C-10 in exchange for $50,000 of back costs. Block C-10 surrounds the Chinguetti field and was awarded to Tullow in 2011. C-10 interest holders are as follows; Tullow 76.5% (Operator), Sterling Energy Mauritania Limited (SEML) 13.5% and SMH 10%. C-10 is an offshore block covering an area of 10,725km2 with water-depth varying from 50 to 2,400m. The C-10 licence is in the second phase of exploration (Nov 2014 – Nov 2017) which involves the drilling of a single exploration well. Tullow has identified a drill ready prospect within a multitude of additional prospects and leads. Current technical work focuses on maturation of the prospect inventory following the receipt of the recently reprocessed 3D survey covering the area. Tullow expects to drill an exploration well in 2016 at an anticipated cost of $77m ($11.55m net to SEML). Phase 3 exploration period runs from Nov 2017 – Nov 2020 and requires the drilling of a further 2 exploration wells. Ambilobe Block, Sterling 50%, acquired 2004. 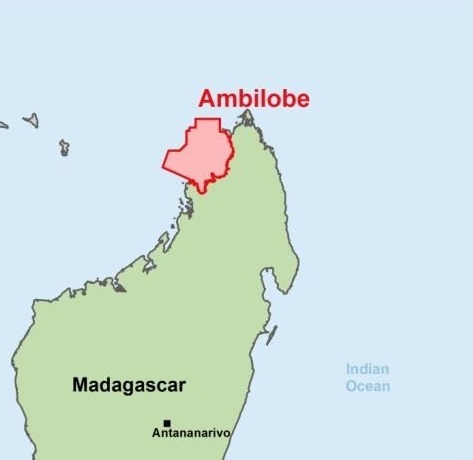 Ambilobe PSC was awarded to Sterling Energy in 2004. Ambilobe is an offshore block covering an area of 17,650km2.in 0-3000m water depth. Interest holders in Ambilobe are Sterling 50% (Operator) and Pura Vida 50%. Pura Vida farmed in to Ambilobe in late 2013, taking a 50% WI in exchange for carrying costs associated with a 3D seismic survey, acquisition of which completed in June 2015. The carry is expected to cover all costs of the 3D seismic survey. A 5500km 2D seismic program had already been acquired and interpreted. CGG, who carried out the 3D survey expect interpretation, resulting in a worked up series of prospects, to be completed by early 2016, completing work commitments under the second phase of exploration. Phase 3 exploration period involves the drilling of a commitment well, which potentially could be drilled in 1H 2017. Odewayne PSC, 40% working interest, awarded in 2005. 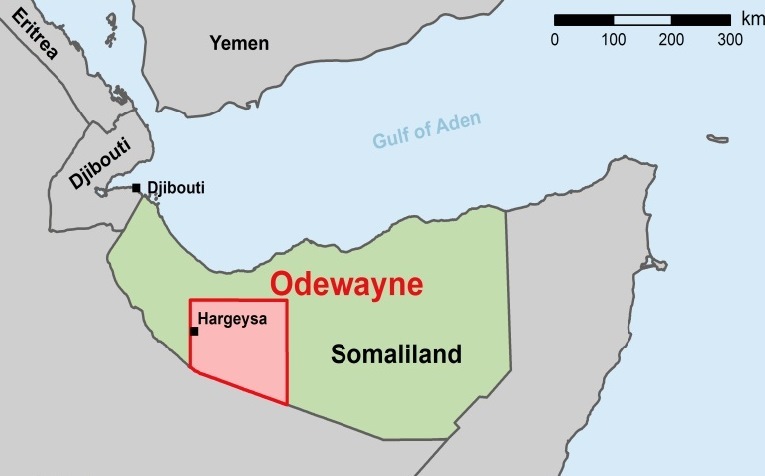 Sterling holds a 40% WI in the Odewayne PSC in Somaliland, for which the group has paid $17m with a further $8m of potential, staged payments. The onshore block covers block SL6 and parts of blocks SL7 & SL7 and covers an area of 22,840km2 equivalent to 100 UKCS blocks. Interest holders are Sterling 40%, Genel 50% (Operator) and Petrosoma 10%. Operations in Somalia have been interrupted by security issues; as a result of these delays a 2-year extension to the current work period (phase 3) was granted in May 2014, with the dates of subsequent periods adjusted accordingly. Odewayne represents frontier acreage with no seismic control and no drilling to date. Sterling are carried by Genel for all costs associated with the third & fourth exploration phase, with Sterling’s expenditure in these periods limited to $8m due to Petrosoma at certain operational milestones. The PSC is currently in the third exploration period (May 2012 – Nov 2016) which involves a gravity mag survey (completed) and 500km of 2D seismic data, which remains outstanding. The 2013 aero mag survey confirmed a broad basin over the Odewayne block thought to be of Jurassic to Cretacaous age, analogous to producing basins in Yemen. Field work on the block has shown evidence of numerous seeps, encouraging signs that the basin includes a working hydrocarbon system. 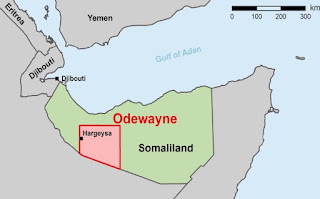 The pending 2D seismic survey will be the next step to defining drillable prospects at Odewayne, exploration activity in the block is currently on hold due to security threat. Both Sterling and Genel are supporting the government in setting up an oilfield protection unit (OPU), with the hope of commencing seismic operations once safe operation of personnel can be established. The fourth exploration period (Nov 16 – May 2018), for which Sterling costs are to be fully carried by Genel, involves a further 1000km of 2D seismic data and the drilling of a single exploration well. 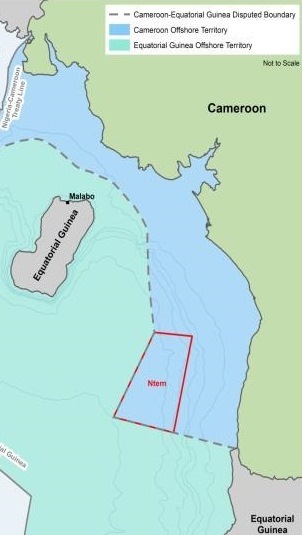 The Ntem concession is a large undrilled block covering an area of 2,319m2 in 400m to 2000m water depth. The concession has been in force majeure since June 2005 as a result of overlapping maritime border claims by the Republic of Cameroon and the republic of Equatorial Guinea. The force majeure preventing activity in the block was lifted in January 2014, allowing drilling of the Bamboo-1 exploration well outside of the disputed border area. The Bamboo-1 well was drilled to a total depth of 4,747m in 1600m of water. The well encountered well developed high porosity sandstones but sadly no significant hydrocarbons. The block does contain additional potential, specifically the Tonga & Baobab prospects. The current exploration period re-commenced in January 2014. In May 2014 the JV partners declared force majeure once more, suspending their work obligations under the terms of the Ntem concession. This week we popped along to Jermyn Street to meet up with Neil Ritson, a lucky break for us as CEO of LGO Energy and chairman of Solo Oil he’s a busy man. Despite sharing management, the two groups offer distinctly differing strategies; whilst LGO focusses on mature field redevelopment in Trinidad, Solo Oil is largely focussed on the development of gas assets in Tanzania. What follows is our representation of the current picture at Solo, with LGO to follow in due course. Solo Oil is a junior oil & gas company listed on the London AIM market. The group’s strategy is to acquire and develop a diverse, global, non-operated portfolio of oil & gas assets. The group currently holds interests In Tanzania, UK, Canada and Nigeria. 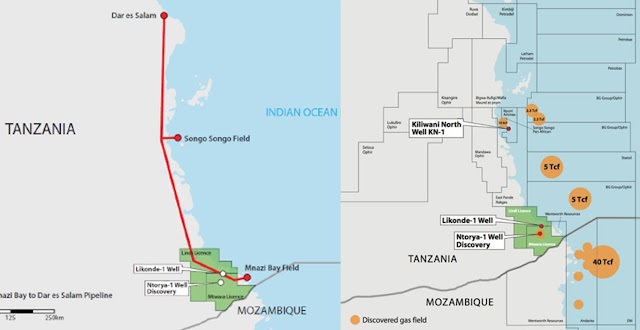 Despite an abundance of press coverage for Solo’s Horse Hill oil discovery in the Weald basin (UK), the primary focus remains Tanzania where the group awaits signing of a gas sales agreement (GSA) at its recently developed gas field, Kiliwani North. The stakes are high as near-term cash flow from Kiliwani could have a ‘multiplier’ effect for Solo in Tanzania, funding both appraisal of the group’s gas discovery; Ntorya-1 and enabling further exploration within the wider Ruvuma PSA. As Solo Oil is a non-client of Edison, we present the following key asset snapshots and background discussion of Solo’s key assets for information purposes only. Kiliwani North (Tanzania) Asset snapshot. 13% WI (6.5% + 6.5% contingent on operator Aminex signing the GSA. 28Bcf (2C contingent on GSA) gas field located on Songo-Songo Island. First production exp. Q4 2015 at 20mmcf/d. Field is fully developed with timing of first production dependant on agreement and signing of a GSA with TPDC and the ministry of energy. Aminex operates with 75% WI. Solo recently took a 6.5% interest in gas discovery Kiliwani North (KN) from operator Aminex with acquisition of a further 6.5% agreed on the same terms but contingent on signing of a gas sales agreement. Development of KN is practically complete, the 2km export line to the Songo-Songo processing facility has been installed and tested, with tie-in from the well head to this line expected to be completed within weeks. The final hurdle to first production at KN remains the signing of a gas sales agreement, which Solo expects imminently. On signing of this agreement Solo will increase its interest in KN to 13%, with annual cash flows from KN estimated by Aminex at $20m (gross), as such the field would be a valuable source of funding for both Aminex and Solo. We expect the resulting cash flow from KN would be used to fund the Ntorya-2 appraisal well, and potentially further exploration in the Ruvuma licence generally. Commercial arrangements to get gas into the market in Dar Es Salaam. Ruvuma PSA (Tanzania). Asset snapshot. 25% WI. The Ruvuma PSA covers two adjacent licences; Lindi & Mtwara licences ~ 6,079km2 split 80/20 onshore/offshore. Ntorya-1 gas discovery ~ 153Bcf (GIIP), upside to 1.4tcf on further appraisal, 4.17Tcf of exploration potential in PSA overall (4 prospects + 4 leads). Aminex operates with 75% WI. Ruvuma PSA (Tanzania). Ntorya gas discovery requires further appraisal. Within the Ruvuma PSC, the Ntorya gas discovery flowed 20mmcf/d and 139bbls of associated condensate from initial discovery well Ntorya-1. The field requires further appraisal to test the 1.5Tcf estimated GIIP for the entire Ntorya field. Operator Aminex plans an appraisal well (Ntorya-2) for the 2H of 2015 (subject to funding), with AFE for the well estimated at around $10m, down from a recent estimate of $12m based on rig rates falling in-line with oil prices. 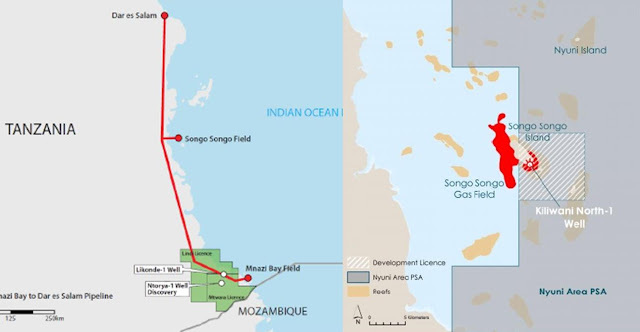 Once Ntorya is fully appraised, a ready market exists for the gas via the recently installed 36’ pipeline from Mnazi Bay to Dar ‘es Salaam, with a tie-in of around 20km required from the field to the 36’ line. Beyond the Ntorya discovery the Ruvuma PSA contains material prospects identified from a seismic program carried out in 2014. These prospects, particularly Sudi (426Bcf), Namisange (1,183Bcf) and Likonde Updip (444Bcf) suggest a multi-well exploration program could be warranted at some point in the future, and indeed offers upside to future companies that may farm-in to the licence. Horse Hill Development Company (UK). Asset snapshot. Solo’s 10% WI in HHDL equates to 6.5% WI in Horse Hill given HHDL owns 65% of Horse Hill. Upper Jurassic Portland sandstone discovery, 21mmbbl oil in place. 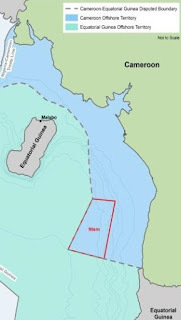 Oil in place potential within the deeper Kimmeridge shale is estimated by Nutech at 158mmbbls/ square mile and more recently by Schlumberger at 255mmbbls/square mile. Horse Hill (UK). Production test scheduled for 2015. Solo’s focus at Horse Hill remains the conventional upper Portland sandstone discovery, where estimates of oil in place have recently been upgraded to 21mmbbl. 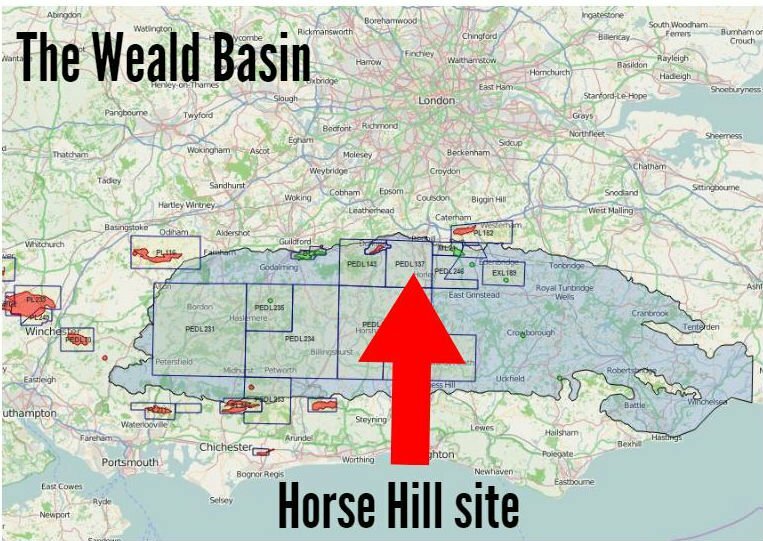 Estimates of recoverable oil from the Portland remain dependant on a pumped flow test being carried out at the well, a planning application has been submitted and the HHDL consortium expects to initiate and complete the test by end 2015. Beyond the Portland discovery much attention has been focussed on potential within the deeper Kimmeridge shale and Micrite limestone ‘hybrid’ play. Although reservoir consultants Nutech estimated oil in place for the Kimmeridge at Horse Hill of 158mmbbl per square mile, whether this oil can be produced and at what rate remains a long-term consideration for the consortium. As an unconventional shale play, commercial development is likely to involve fracking, in which case the biggest hurdles to a development are likely to be above ground given the location. Beyond Tanzania and the UK Solo holds an asset in Canada and a corporate entity on the hunt for assets in Nigeria, detailed in snapshots as follows. Canada, Ontario Reefs 28.56%. Asset snapshot. On hold due to limited operator finance. Development plan to move asset from small-scale production to enhanced oil recovery ~ enhancing light oil recovery from re-pressurising proven reef structures. Corporate holding; Burj Africa (20%). Asset snapshot. UK registered company established to participate in the current marginal field licencing round in Nigeria. Live application in place for two marginal fields containing 2P oil reserves of 59.3mmbbl (gross).